Dr. Katz is a board certified ophthalmic surgeon specializing in cataract, laser and refractive surgery. He graduated Phi Beta Kappa from the University of Michigan and received his medical degree from New York University School of Medicine, where he graduated at the top of his class and was elected to the prestigious honors medical society, Alpha Omega Alpha. Dr. Katz completed his residency in ophthalmology at the Long Island Jewish Medical Center and continued his education with two years of advanced training in modern cataract and refractive surgery in Cincinnati. Dr. Katz first opened a practice in the Bronx in 1987, where he pioneered several new cataract and refractive techniques. He has closely followed the evolution of cataract and refractive surgery over the years, regularly incorporating new technology as soon as it is established as safe and effective. Over the years, Dr. Katz has performed thousands of cataract implant surgeries, diabetic and glaucoma laser procedures, and laser vision corrections. 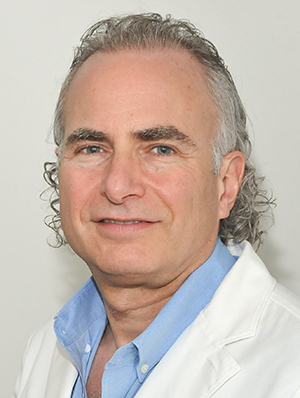 Dr. Katz is a fellow of the American Academy of Ophthalmology. He is an Assistant Clinical Professor of Ophthalmology at the Albert Einstein College of Medicine and an attending surgeon at Montefiore Medical Center. He has published articles on the development of age related cataract and various micro-surgical techniques. © Copyright The Katz Eye Center. All Rights Reserved. Accessibility Policy.